Most of the people around the globe crave for the secret mantra or say the secret to success. Let it be anything in life, for example say education or business or even personal development, and people are eager to be successful. 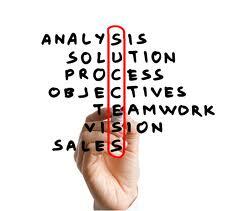 There are indeed many methods to obtain success in life. There is a different story for each of the success of the individuals. It feels good to be successful in life or anything you wish to have either in your professional life or personal. It boosts up your confidence and allows you to become what you have wished, and longed for. We can often hear reasons like interest, goal, dream, inspiration, failure; circumstances, upbringing, hard work, planning, environment, need or necessity etc, etc are one among the few reasons or say stepping stones to success in people’s lives. We are indeed desperate and eager to know the secret to success, because it gives you happiness, pleasure, name and fame and most importantly satisfaction of achievement. So, in order to achieve or gain success, here are few points worthy of throwing some light. Make a note of your interests and likes. Look out for what actually you want from life? Seek a particular path or direction for your career or success. When you allow yourself to wander about without any specific direction, then you tend to become less enthusiastic and motivated. It is obvious that if your energy is distributed in the whole process of wandering then you will get tired soon. Similar is the case of direction, If this continues for long, it may lead you to some other way resulting in losing your self-confidence on the whole. The first step in the secret to success is, seeking the knowledge and putting a track of the needs and requirements for attaining your goal. Know where exactly you wish to end up, what you want and have a vision for your future. To seek anything in life one needs to have a purpose and a meaning for it. Else it’s a waste of both time and energy. Once you know what you want, and how you can attain it, it would be easier for you to focus on one thing for sure. Getting started and implementing the plan is the next step in the secret to success. It’s all in the plan; make your first step and all the thoughts of failing or indecision's fall back, paving the way to success. Believe in yourself, it’s all in your heart and mind, that you can achieve whatever you wish to and be happier for doing so. There may be many hurdles or obstacles falling in between, it takes time to learn have patience and seek positivity and truth in every aspect but rise and shine! Learn from your mistakes, follow the foot prints of achievers, sometimes even they might help you to achieve goals of your life. Strive for knowledge, and excellence then it will give you all! Success, name, fame and happiness to last!